Prime Minister Dr Keith Rowley PHOTO BY KERWIN PIERRE. THE Prime Minister has called on citizens to reject all forms of racism. Dr Keith Rowley made this call in response to an audio recording of a woman named “Nalini Ramai” making racist statements about him and people of African descent which was circulated on social media. 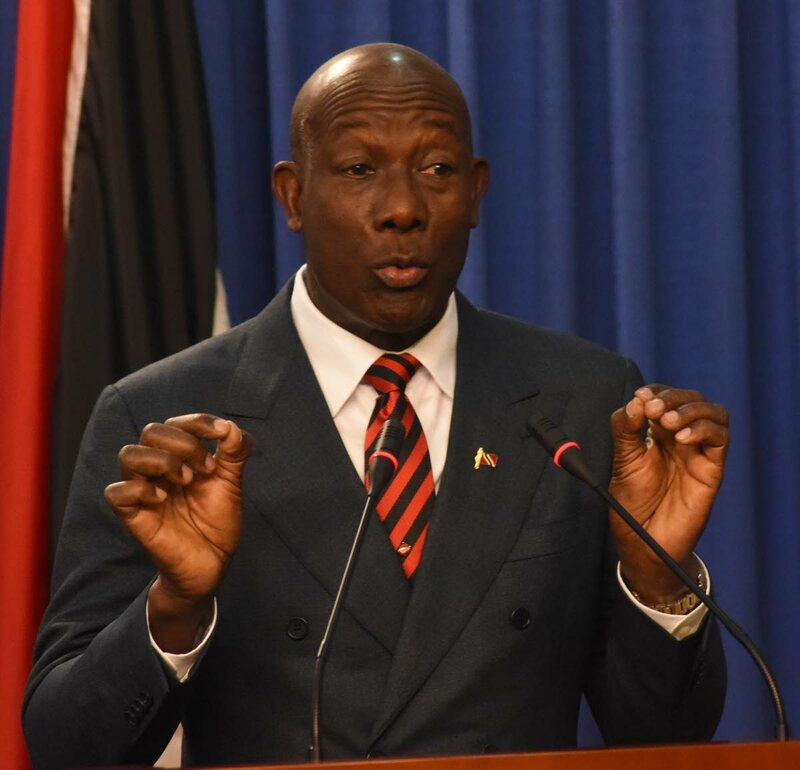 In a subsequent audio recording, which was also posted on social media, Ramai apologised to Rowley. Ramai is heard complaining about ZEE TV being pulled from her package and seeing local programmes with Rowley. She then made several racist and obscene remarks. Keron then asked Ramai for her contact information, so he could help her, and Ramai gave him her phone number and address. After Keron said Amplia has no power regarding the rights to any TV show, Ramai made an obscene remark and ended the call. Efforts to contact Amplia and TSTT for comment were unsuccessful. In a second audio clip, Ramai is heard talking to a woman who identifies herself as a staffer at the Office of the Prime Minister. “This is Nalini Ramai. I am calling to apologise for the racial statement that I made on social media,” she said. Ramai apologised to Rowley, government ministers and the rest of the population. “Yes, I made a racial statement about the Prime Minister and his officials,” Ramai added. She said she made the statement because she was upset, and was now scared because her phone number and address had been posted on social media. Ramai claimed because of this she had to disconnect her phone, and asked for a way to contact Rowley. The OPM staffer told Ramai she could write a letter, e-mail or call the PM. The clip ended with the staffer promising to send Ramai an e-mail address and phone number. Ramai could not be reached to verify the contents of both audio clips. He further alleged that Keron’s voice sounded like one used in a recent pro-PNM social media post. Reply to "PM: ‘Reject racism’"